As part of the training students are given the opportunity to discover their personal gifts and ways of thinking which allow options for healing both personally and professionally. Included in the WRT Water Release Therapy® 'Provider' Training programs students are given Life Coach readings with Diane. Watsu® is a form of aquatic bodywork which applies the ancient principles of Zen Shiatsu from Japan and Tantsu from India while being floated in warm water. The result is profound relaxation. . . . Many believe that Watsu® is the most significant advance in bodywork in our times. A bodywork modality which can have specific therapeutic results and profound healing on many levels of a person's being. These sessions are given in a chlorine free pool set in a beautiful, private aromatherapy garden. Watsu is an extraordinary modality of aquatic bodywork in which the receiver experiences many different sensations: deep relaxation, a sense of calmness and an overall feeling of release while being floated in warm water. This aquatic bodywork is a deeply meditative and profound experience that draws on your body’s natural healing energies to bring more comfort, ease, spaciousness, freedom, vitality and balance to all aspects of your body and being. There are gentle stretches along with Shiatsu massage, Yoga, and the circling movements of Tantsu along with the connection of breath and movement. If applicable Diane encourages the experience of WaterDance where even deeper openings can occur. However the perfect session unfolds it is reflected in the intuitive presence of being with and available to the needs, the breath and circumstances of each client in each moment. WaterDance, also known as Wassertanzen, like Watsu begins with the client held above the surface of the water. And in Wassertanzen the client is then given nose plugs, and gradually and gently taken entirely under the water. Once freed from the bounds of head support and gravity, the client’s body can be moved, stretched, and worked in literally unlimited ways: Wassertanzen incorporates elements of massage, Aikido, dolphin and snake movements, rolls, somersaults, inversions, dance and much more. The effects of this work include deep physical release, and can combine with deep states of relaxation, meditation, bliss and even visions. The effects of being wrapped in the energetic field of the therapist’s heart energy in a warm fluid environment, with a new relationship to gravity, spatial orientation, temperature, light, sound, and movement can create a great calming, centering sense of well being. And the effects of feeling that sense of oneness with all of life can be a profound message to the central nervous system. Diane treats her clients and patients to an experience of Watsu and WaterDance Therapy combined with the breath which becomes an experience of trusting presence and conscious awareness for growth and inner well being. In conjunction with Healing Waters Diane offers retreat packages for couples and families combining both land and water modalities. • The Recovery and Release of Emotional Issues and deep seated trauma. 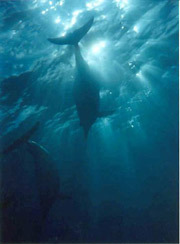 WRT Water Release Therapy® is about the inward journey on the Earth plane. WRT Water Release Therapy® is a therapeutic Healing modality developed by Diane Feingold to facilitate healing and well-being. WRT Water Release Therapy® is an Aquatic Art with origins from Watsu, WaterDance and Yoga. WRT® is designed to release trauma, old patterns and holding stored in the body and mind. The client experiences the process of deep release and a profound unfolding from whatever may be keeping one from living fully. WRT Water Release Therapy® is about experiencing the magic of healing integration above and below the surface of the water. If appropriate the client is gradually taken entirely under the water freed from the bounds of cellular memory and gravity one can embrace inspiration, flow, trust, courage, connection, openness, adventure, peace and well-being in literally transformational and unlimited ways. Going back to the source. That is the essence of Diane Feingold's waterwork. back to the source, a deep remembering of our first bodily experience. In this way it is deeply healing and profoundly re-organizing. Diane's work helps the body to remember its original integrity. One emerges from this work truly reborn. As part of the training students are given the opportunity to discover their personal magic and ways of thinking which allow options for healing both personally and professionally. Included in the WRT Water Release Therapy® 'Provider' Training programs students are given HED Human Energy Design readings with Diane. Class open to all… no previous experience necessary. For WRT® Water Release Therapy® 'Provider' training dates click here. Basic Watsu® / WRT Water Release Therapist® and Instructor. This course focuses on the Basics of Watsu, as in Tai Chi or Yoga Pranayama, one is grounded in stance while floating and stretching someone to the rhythm of the connected breaths. You will be led through a simple but complete form. You can take this course to deepen your meditation, your relationship to water, your connection to others. There will be no pressure to 'learn' the form, but those who choose to, can follow this with the Transition Flow that expands this Basic Flow to complete a Watsu 1. As in each stage of our program, the form learned has its own organic unity and can be repeated over and over without losing its freshness or benefits for both giver and receiver. There is a total of 16 hours in this course where you will experience the stillness that is the ground of presence and incorporate the way the heart and breath connection can be maintained throughout a Watsu as well as explore the many levels of your being that the Watsu is helping you access in the warm 97 degree purified mineral water. This class can be taken toward practitioner license with WABA (Worldwide Aquatic Bodywork Association). Fee for class is $595 or $495. (Must be full-time student for this discounted rate). Check Payable to "Diane Feingold". This 36 hour level 1 class can be taken toward WRT Water Release Therapy® practitioner license hours. Fee for the class is $650 (taken concurrently with Basic Watsu® for $595, or $495 for full-time student). For further information about WRT Water Release Therapy® click here. Fee for the class is $750. A ll Auditors repeat for 1/2 price - $375. This review and exploration course is held at Healing Waters, Santa Barbara, CA w/ Diane Feingold, WABA & AMTA licensed Watsu® & WaterDance Therapist, WRTB & AMTA WRT Water Release Therapist® & Instructor and Life Coach. Please contact Diane for details on any of the above 50 hour courses available. Watsu®, Tantsu® and Healing Dance courses above are available if interested in following the "traditional" Watsu® /Tantsu and/or Healing Dance Practitioner paths. At present, there is not a WaterDance Training path... as an alternative Diane offers WRT Water Release Therapy® as an inclusive Aquatic Art which provides its unique expressions of Presence, compassion, love, joy, breath, Yoga, stillness, somatic movement and personal human energy designs that lead us to discover and share who we are and ways to hold a neutral healing space for others both above and below the surface of the water and on land. Watsu® 2 expands the Transition Flow taught in Watsu® 1. We learn additional moves and bodywork in each position, how to incorporate the movements as needed. We learn about the meridians and points in Watsu and how to explore & follow client's tendency to move and how to creatively explore our own movements. Practicing the pointwork, the lifts, the pushes and pulls introduced at this stage, helps develop the ability to explore and play with energy. Because the repertoire has increased to this level and there is so much to work & play with, it is recommended that one practices many sessions before going on to Watsu 3 or another form. This class can be taken toward practitioner license hours. Designed to help us explore and embrace the grace of presence: the continuous unfolding of the "mysterious moment" when one is fully present with mind, body, emotions and breath. From here, we can experience the deepest connection on all levels in whatever setting. Through this connection, our work (on land or in the water) becomes a practice of being rather than doing. Class open to all, no previous experience necessary. WaterDance (or "Wassertanzen", the original German name) is a form of aquatic bodywork developed by Arjana Brunschwiler and Aman Schroter in 1987. Like Watsu®, it begins with the client held in the practitioner's arms above the surface of the water, where the body is cradled, stretched, and relaxed. In WaterDance, the client is then given nose clips and gradually and gently taken entirely under the water. Once freed from the bounds of head support and gravity, the client's body can be moved, stretched, and worked in literally unlimited ways. WaterDance incorporates elements of massage, Aikido, dolphin and snake movements, rolls, somersaults, inversions, dance, and much more. The effects of this work include deep physical release and can induce deep states of relaxation, meditation, bliss, and even visions. A prerequisite for participating in Waterdance classes is that you have training in Watsu or other forms of above-surface aquatic bodywork. Fee for class is $1450. Check payable to 'Diane Feingold'. Healing Dance is a powerful and beautiful technique developed by Alexander in 1993, incorporating elements of Watsu®, WaterDance, Trager Work, and dance. It consists of four trainings, Basic Healing Dance, Advanced HealingDance and the two underwater trainings-Above and Below and Shape and Space. The Healing Dance is primarily based on wave movements for the entire body,and also includes quiet embraces, releases, tractions, smooth transitions and massage, all woven together in an unending flow. The guiding philosophy of the work is that movement is the "medicine" and in the experience of "received dance" the healing process in the body is activated. Students learn to create the sensation of lightness and flying, to generate a rhythmic field, to find the various "rhythms of awareness" for clients and even to channel movement. 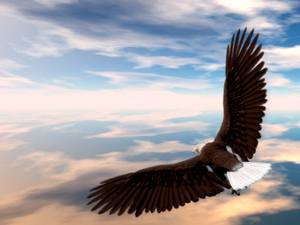 Physical and emotional blockages are resolved in the polarity between freedom and security. Advanced body mechanics are taught to create movements of greater subtlety and sensitivity. As the vocabulary of movements expands students become more confident to improvise and better respond to the needs of the client. healingdance.org is the official web site of Healing Dance. You are being presented with a wonderful opportunity to take these classes locally, in our own backyard, without traveling and lodging expenses. And here you will also get credit with WABA toward becoming a Watsu® Practitioner and be placed on the registry with the World Wide Aquatic Bodywork Association if you choose. With the addition of our new Healing Waters Spa; a 98-99 degree, non-chlorinated, non-bromine, salt-purification and mineral system to sink into ... Additionally, as you take these classes, you will then have an opportunity to take future classes in Watsu®, Healing Dance, WaterDance, Presence of Being etc. here in Santa Barbara or elsewhere. 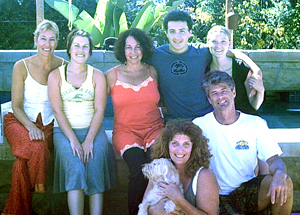 Diane Feingold is one of Southern California's finest certified yoga instructors and healers. In her twenty passionate years of teaching and healing she has specialized in presenting traditional yoga in a modern context to a wide spectrum of people. She has worked with people of all ages and physical abilities from beginners to the highly advanced, children, teenagers adults, and seniors. Diane's eclectic style draws from various traditional yoga systems; Gentle Hatha Yoga Therapy, Iyengar, Flow, Power Yoga, Ashtanga, and others including Feldenkrais and Desikachar. Diane specializes in teaching private and public classes and workshops throughout Southern California. At present Diane is offering Yoga as an expression of bringing the water on land as a tool for deep healing. Private Sessions, Intensives, Group experiences and Trainings. Please contact Diane for more information on Yoga Healing on land. Please contact Diane to schedule 1 and 1.5 hour classes in advance. $190/hr. Most sessions are in the privacy of your home, office or studio. Scheduled in advance. Semi-privates also available. Yoga CDs for sale $25 each. Complete 75 minute guided (by Diane) Yoga Practice accompanied by inspired flute music. 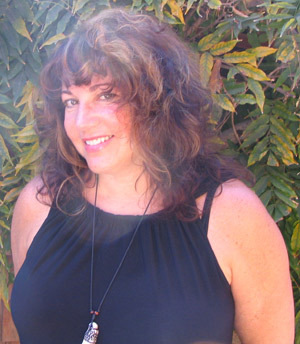 Diane Feingold is an experienced Watsu®, WaterDance & WRT Water Release Therapist® and Instructor here in Santa Barbara. She learned Watsu® from the founder, Harold Dull and a host of gifted creators of the Water Arts at Harbin Hot Springs Watsu Center where Watsu was born. Diane is a powerful healer who has further developed her gift as a powerful healing touch. The WRT Water Release Therapy®, whether on land or water, is about this profound potential for healing through releasing our issues, shattering our limitations and accessing the potential of living the life of our dreams. In addition to offering private Watsu®, WaterDance and WRT Water Release Therapy® Sessions & Intensives Diane is an Authorized Instructor of Basic Watsu® through WABA and WRTB. She offers Introductory, Basic Watsu® and WRT Water Release Therapy® 'Provider' Trainings for those interested in sharing with others in water as well as those looking to become licensed Watsu® Practitioners and WRT Water Release Therapists®. ...from the beginning, Diane has been passionate about healing through deep presence, light and love.